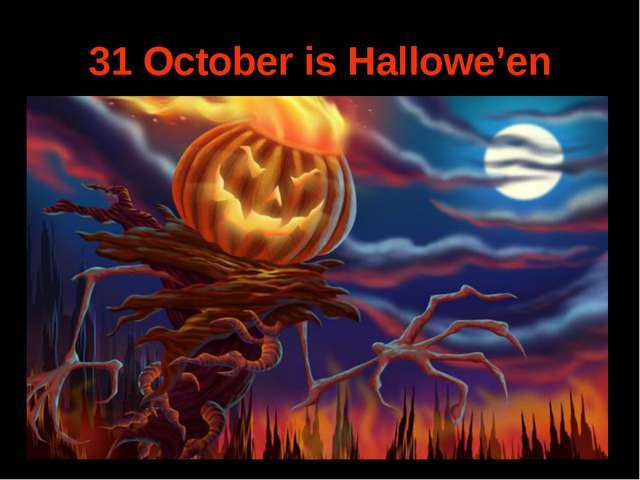 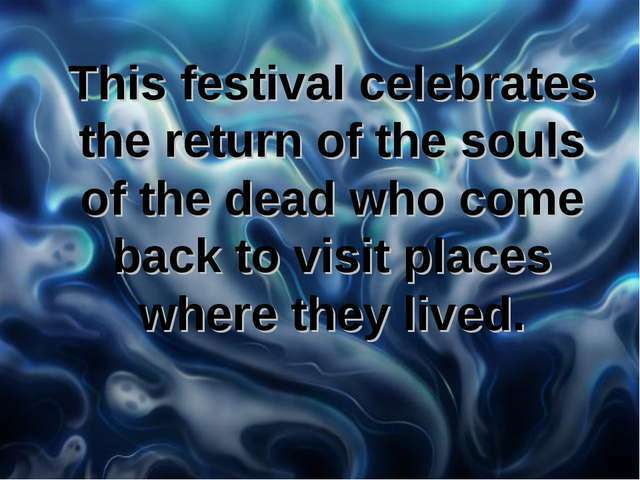 This festival celebrates the return of the souls of the dead who come back to visit places where they lived. 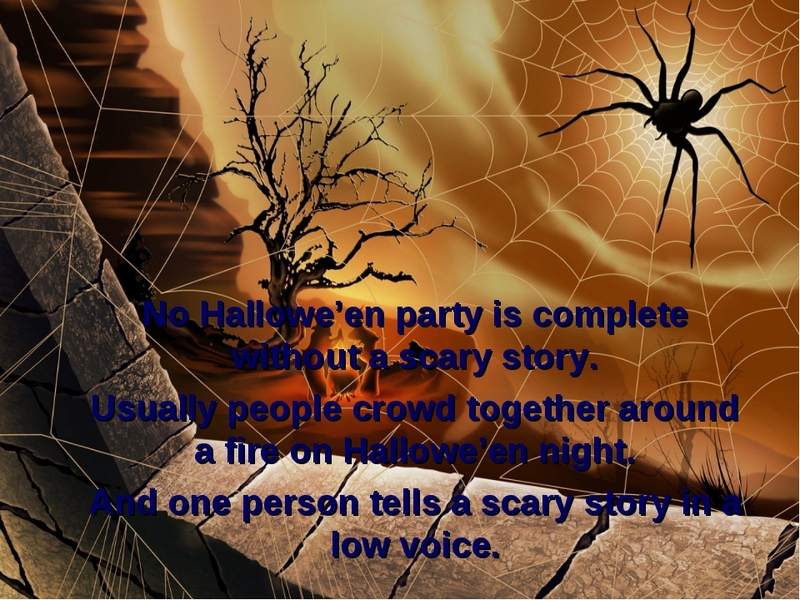 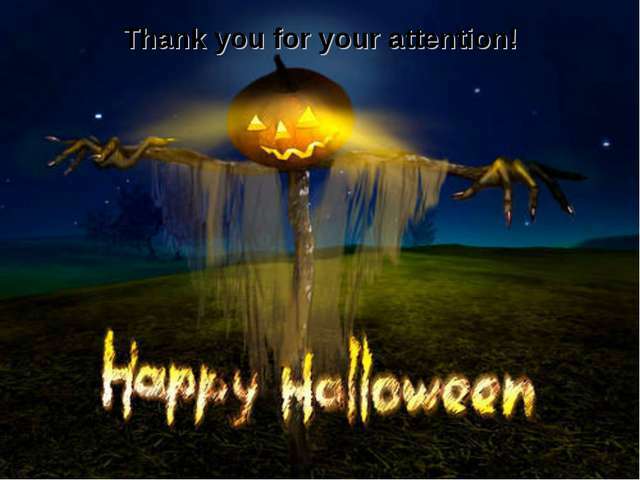 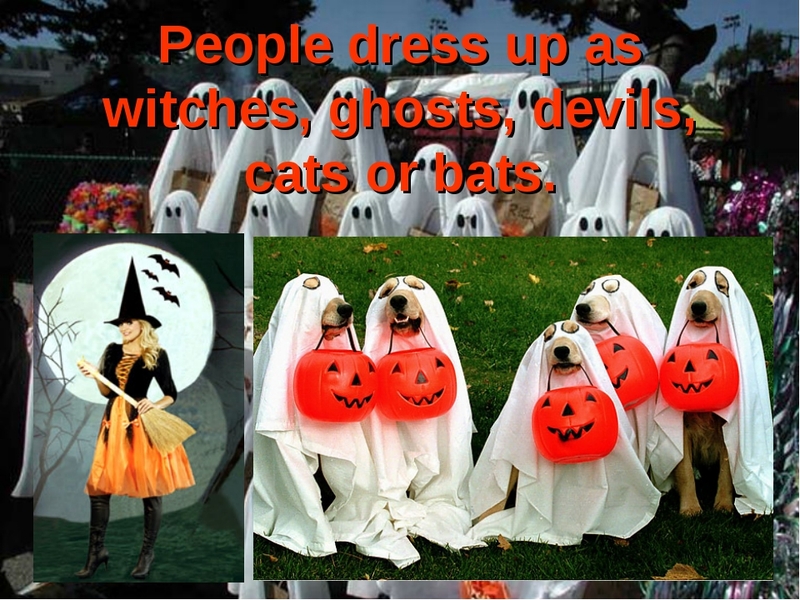 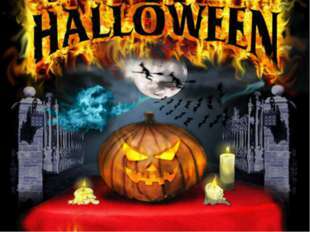 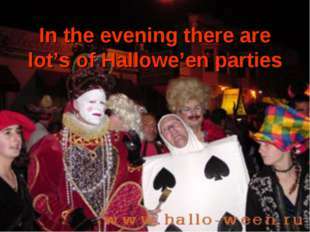 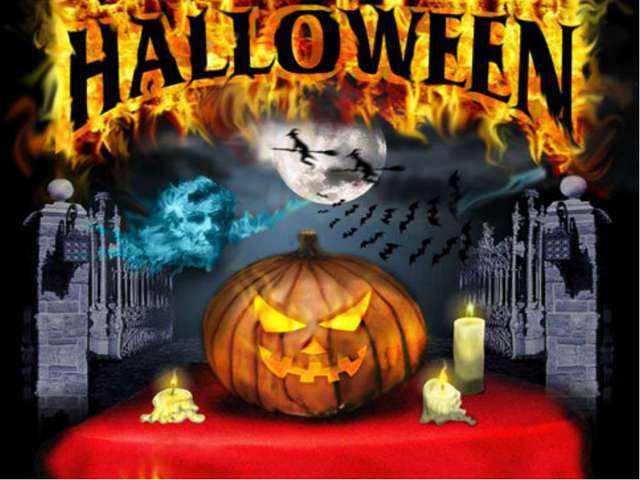 People dress up as witches, ghosts, devils, cats or bats. 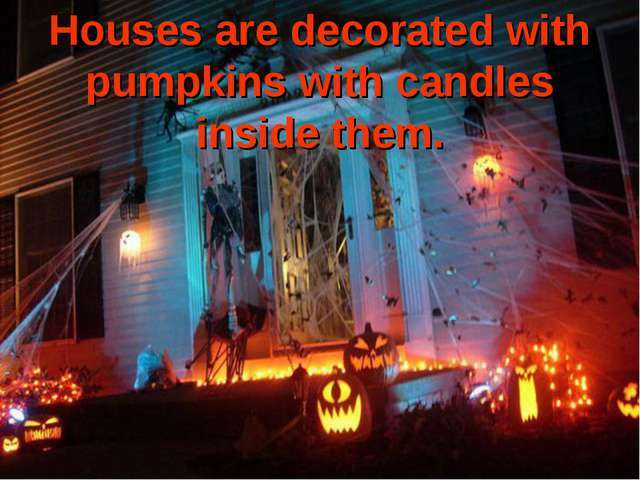 Houses are decorated with pumpkins with candles inside them. Children enjoy Hallowe’en. 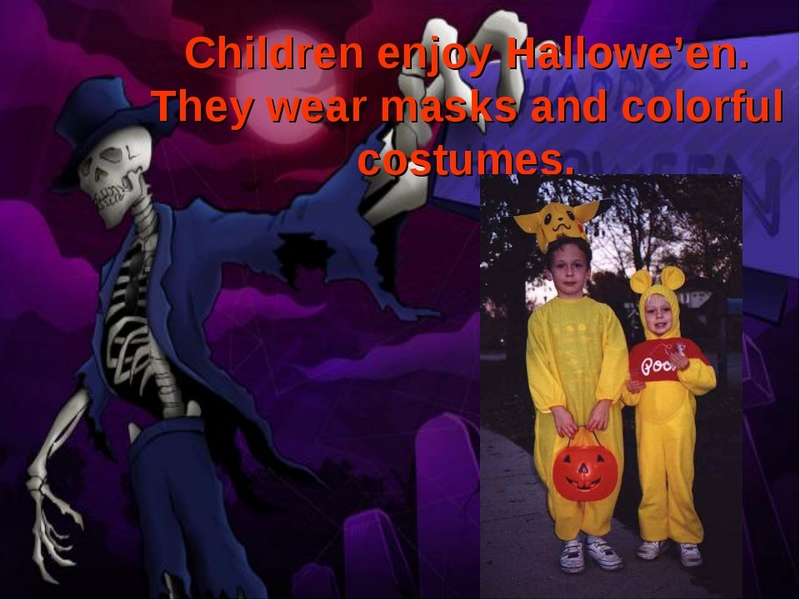 They wear masks and colorful costumes. «Trick or treat» Means «if you don’t treat us to something tasty, we shall play a trick on you». 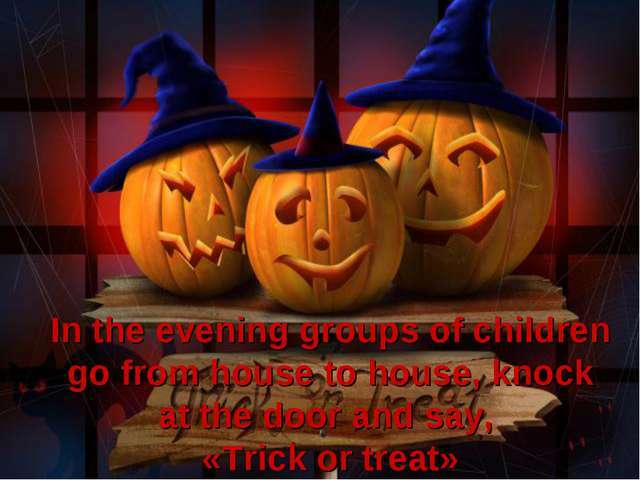 Trick or treat, Smell our feet. 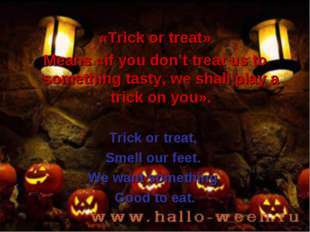 We want something Good to eat.